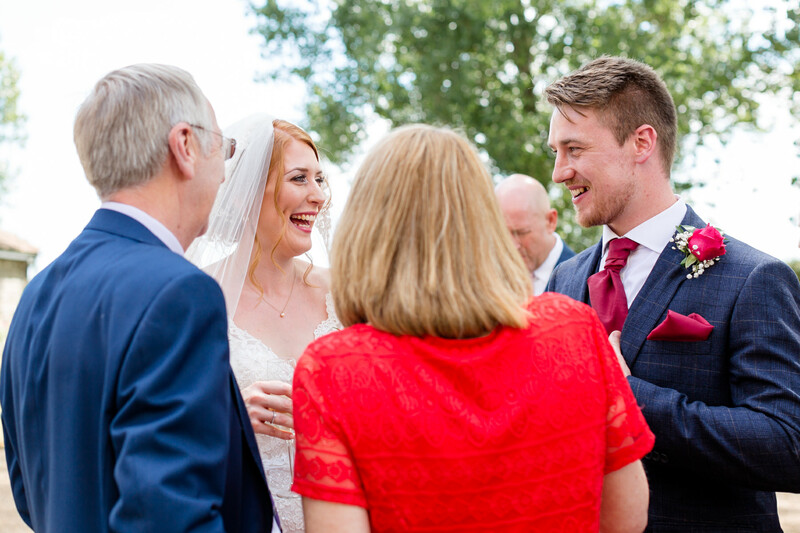 I first met Becca with her mum at a wedding fair in early 2017 and it was a month later I met Steve, when they were visiting family in Norfolk from their home in Leeds. 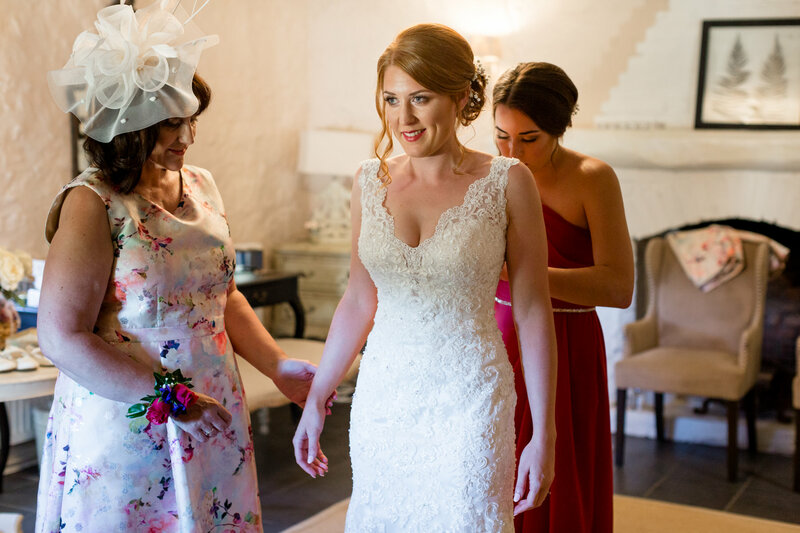 I also got to meet their gorgeous puppy Lola! 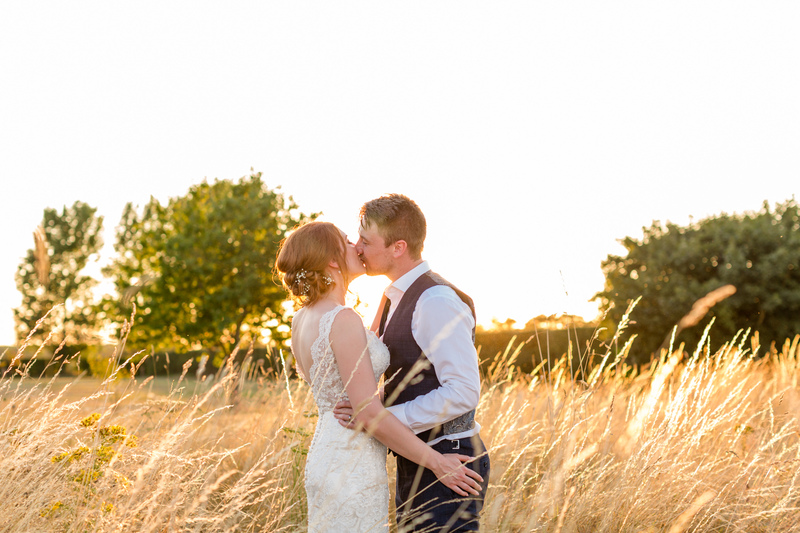 Lola came along to their engagement shoot on a lovely sunny day the following February. 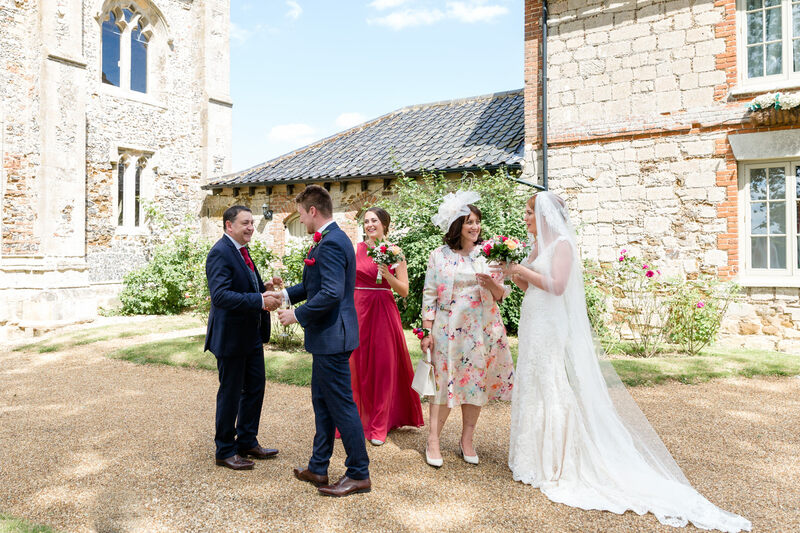 We had such a nice time wandering along the beach and through the dunes of Hunstanton, they told me all about their wedding day plans at the stunning Pentney Abbey in August. 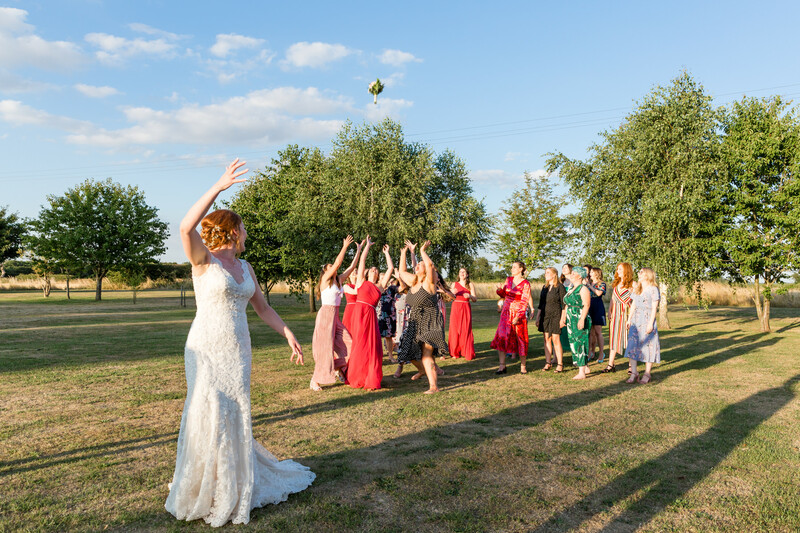 On the morning of the wedding the ladies enjoyed a lovely chilled out time, getting ready in the farmhouse and occasionally popping over to the barn to see the flowers, put up some photos and add the finishing touches. 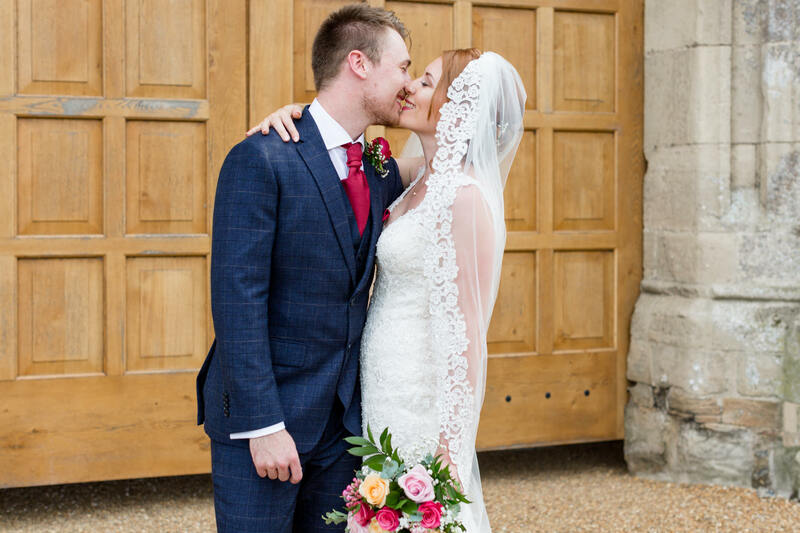 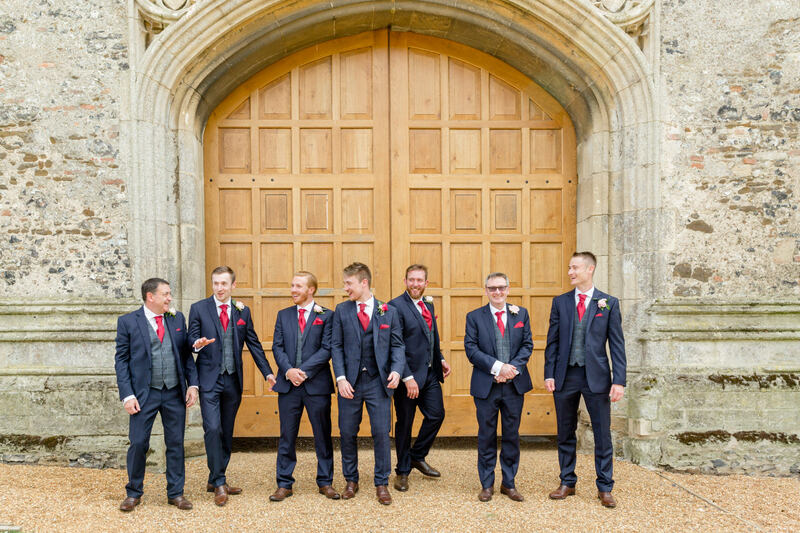 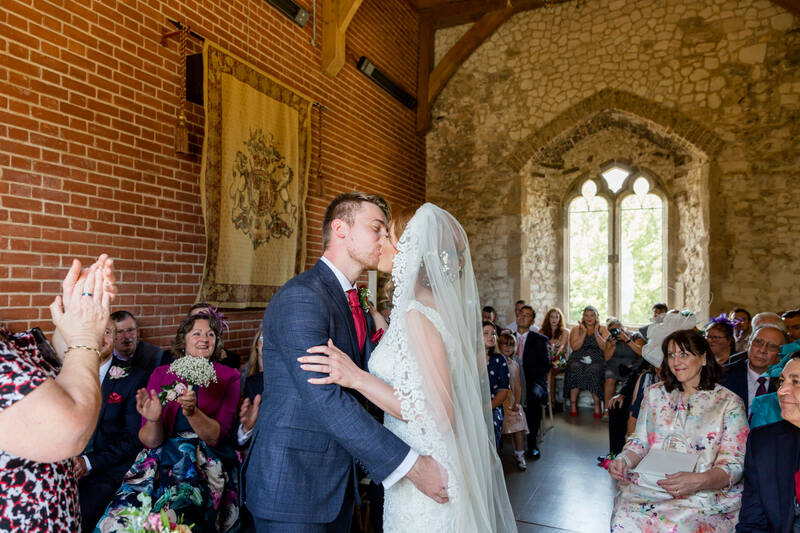 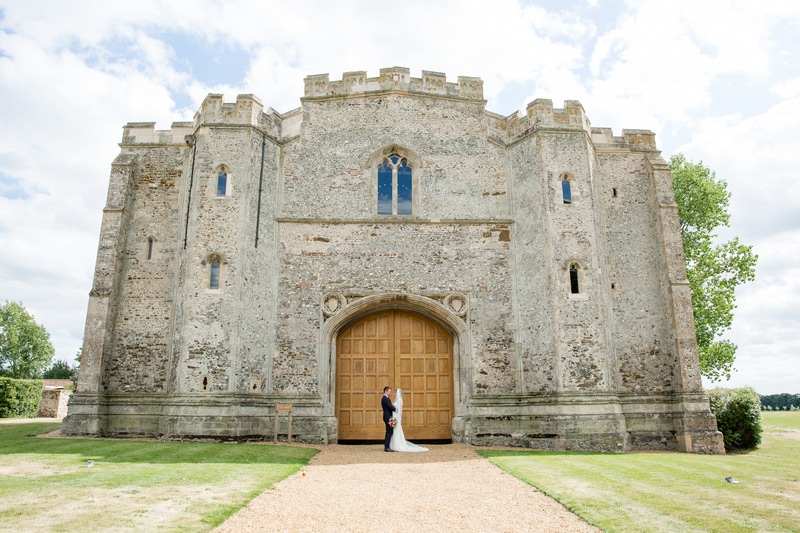 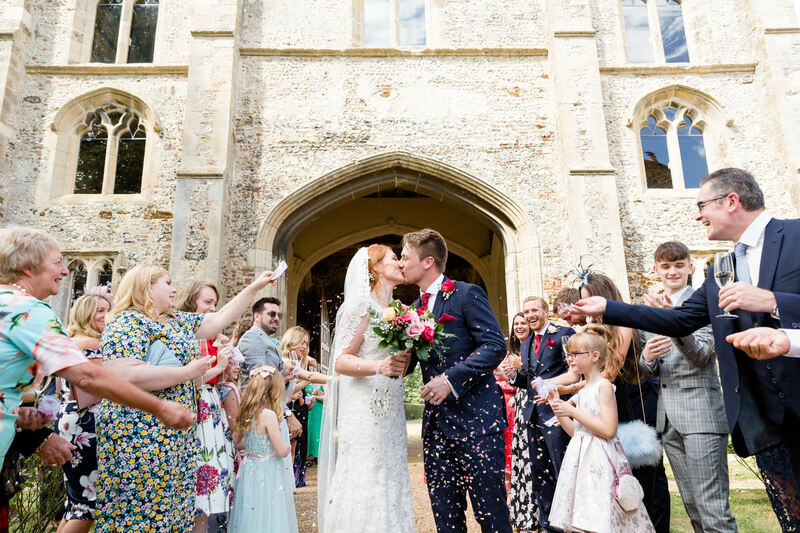 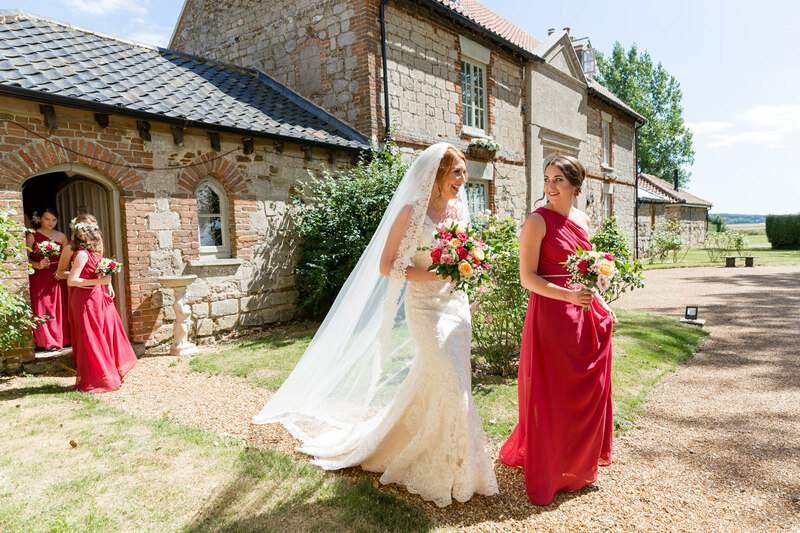 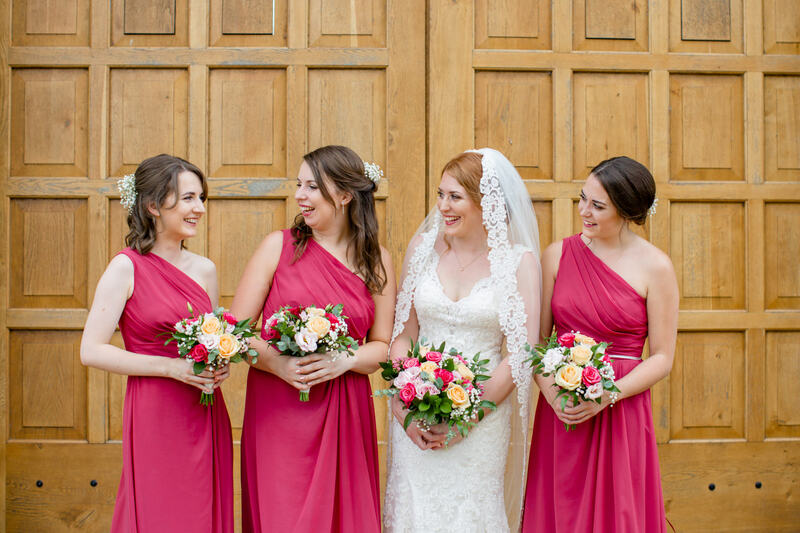 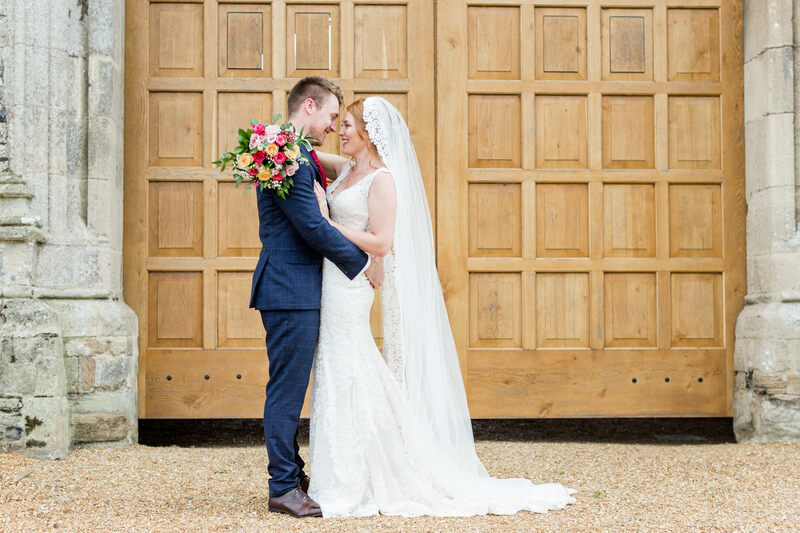 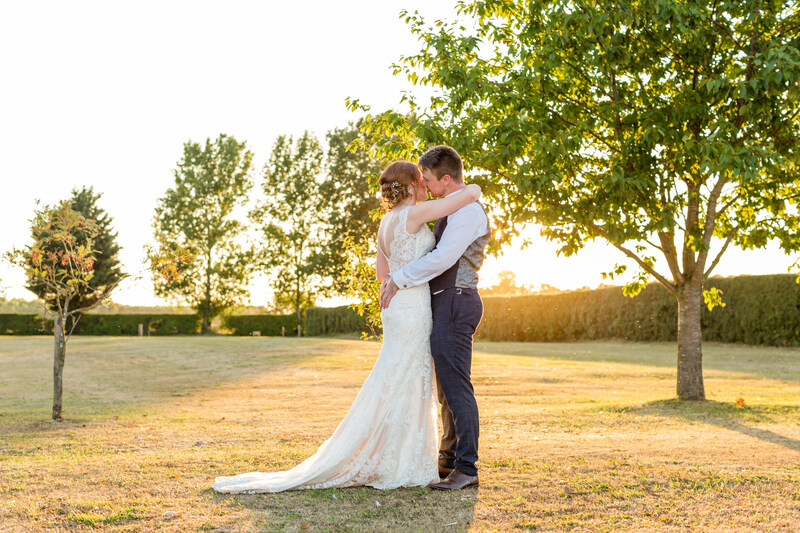 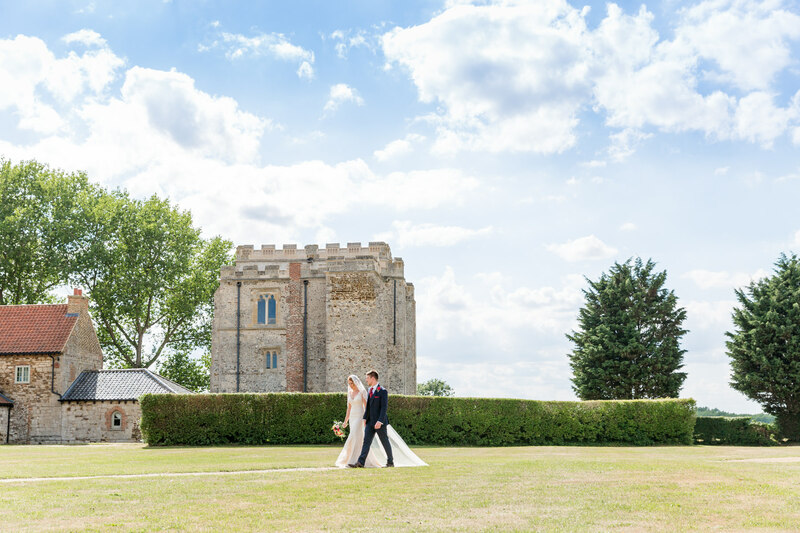 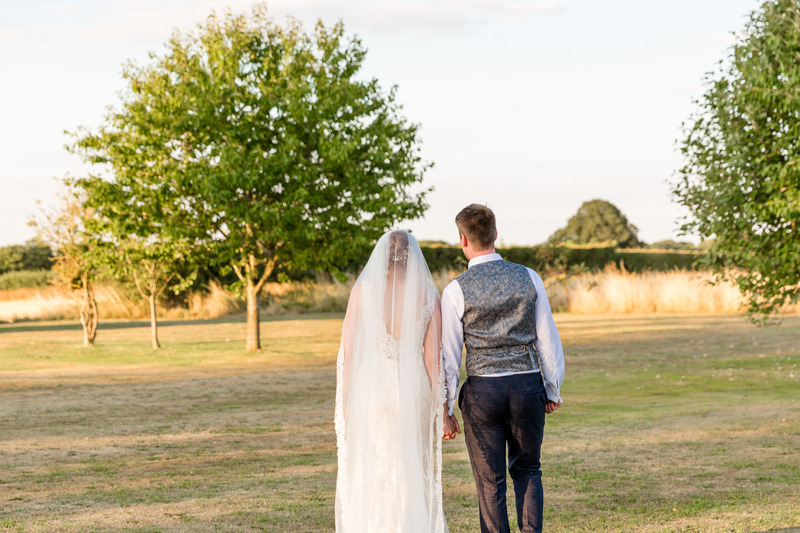 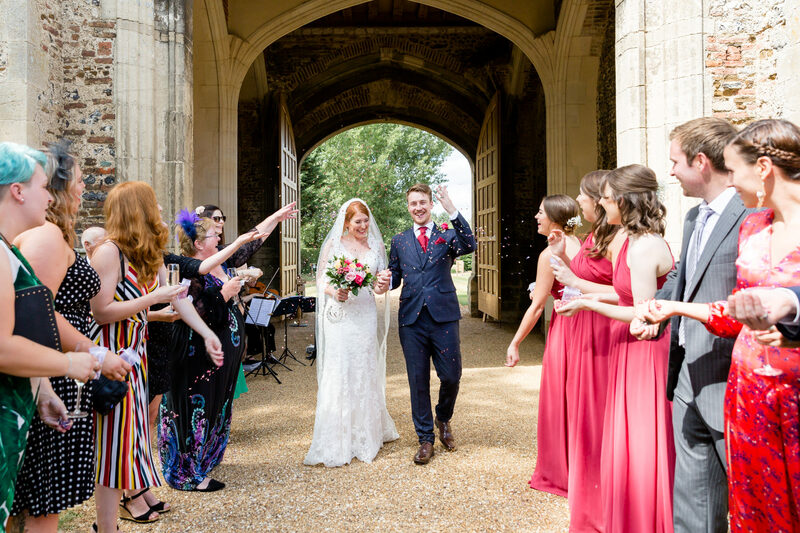 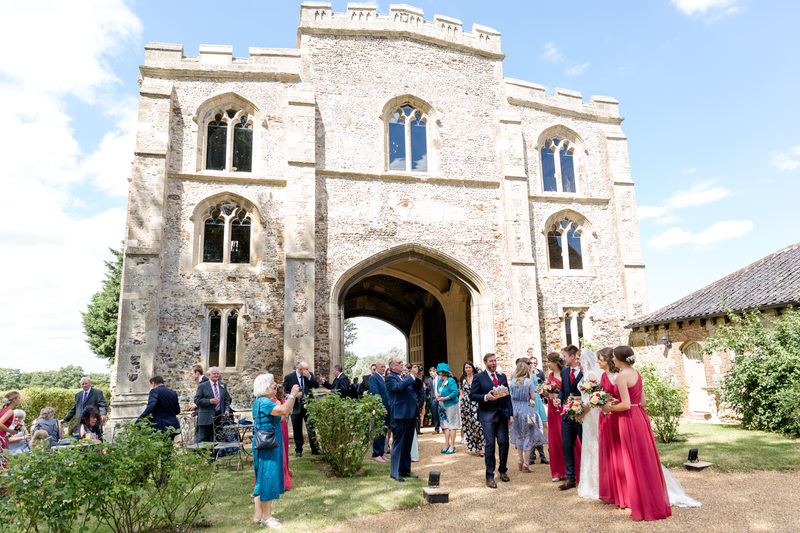 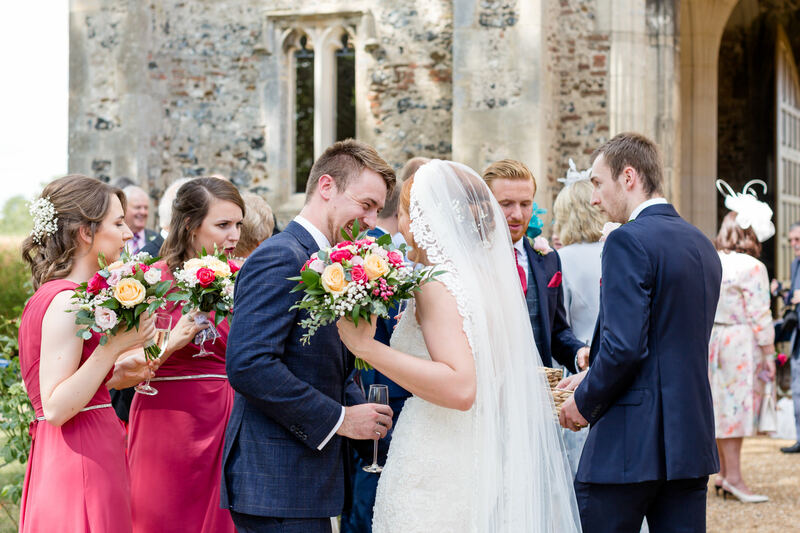 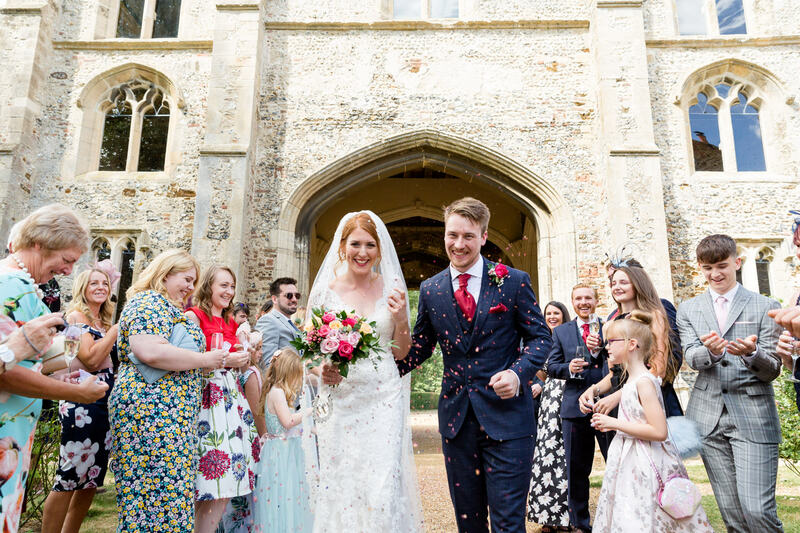 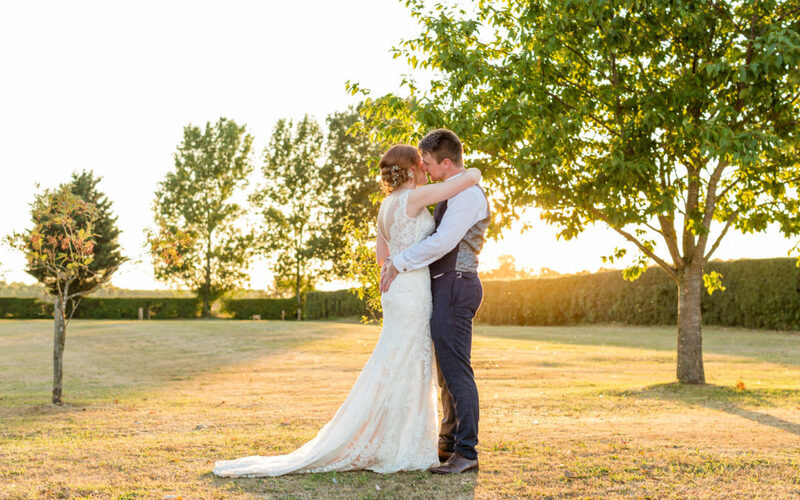 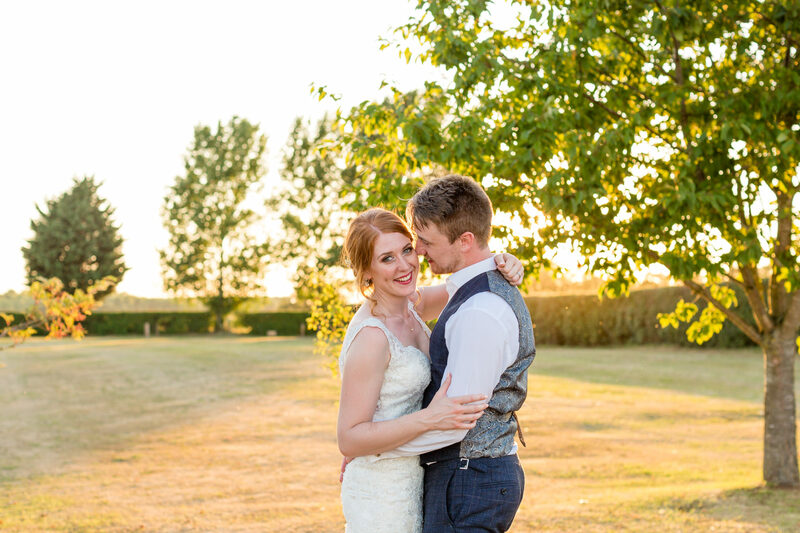 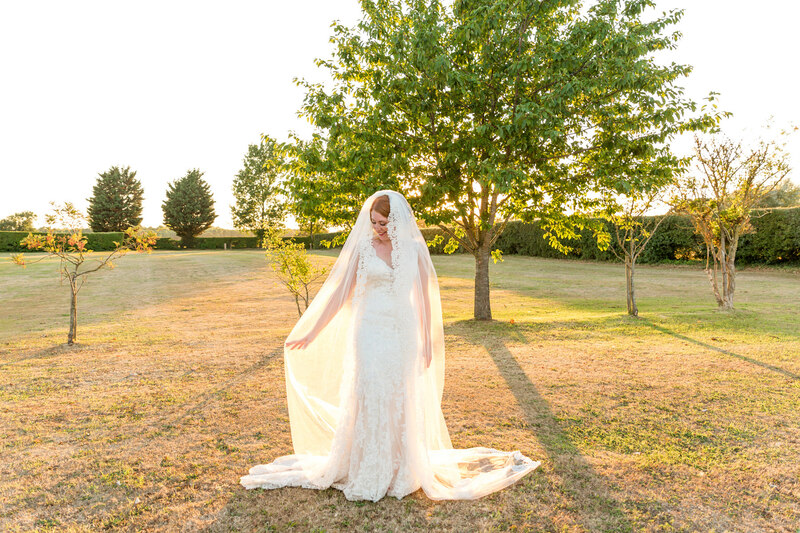 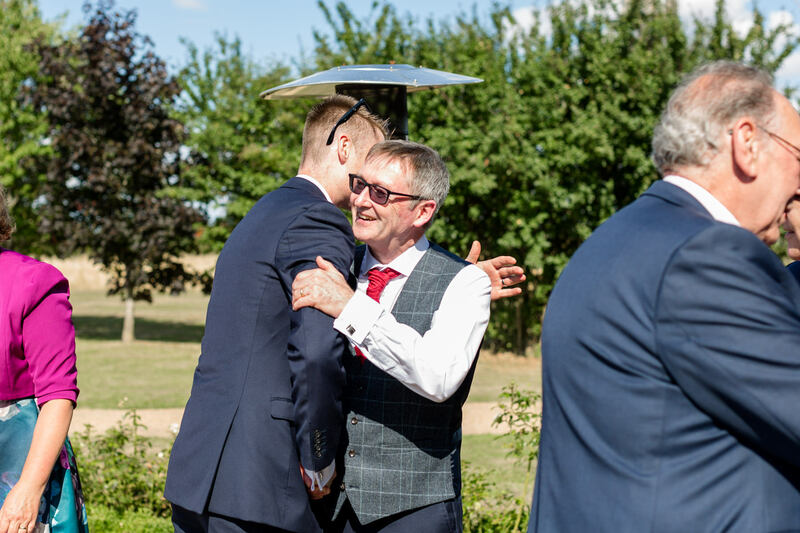 To be able to walk from the farmhouse to the gatehouse laughing with your sister is one of the many reasons to get married at this unique Norfolk venue, with everything in easy walking distance and a superb events team it really couldn’t get more relaxed. 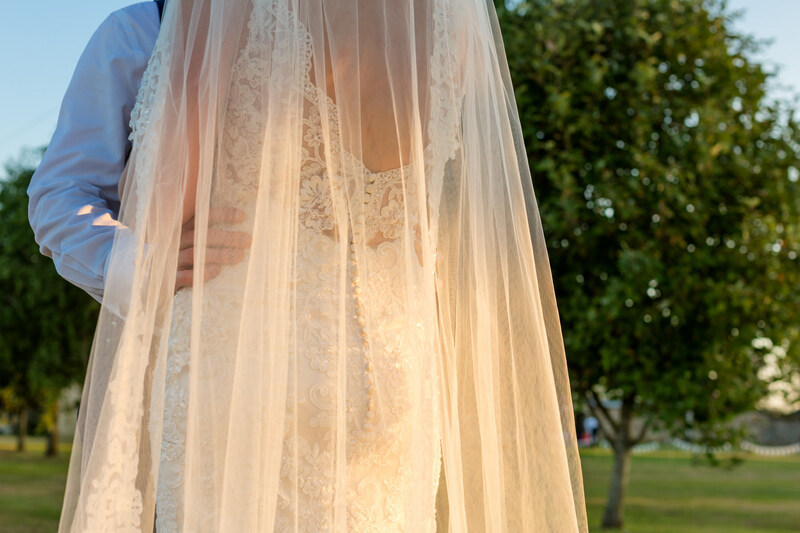 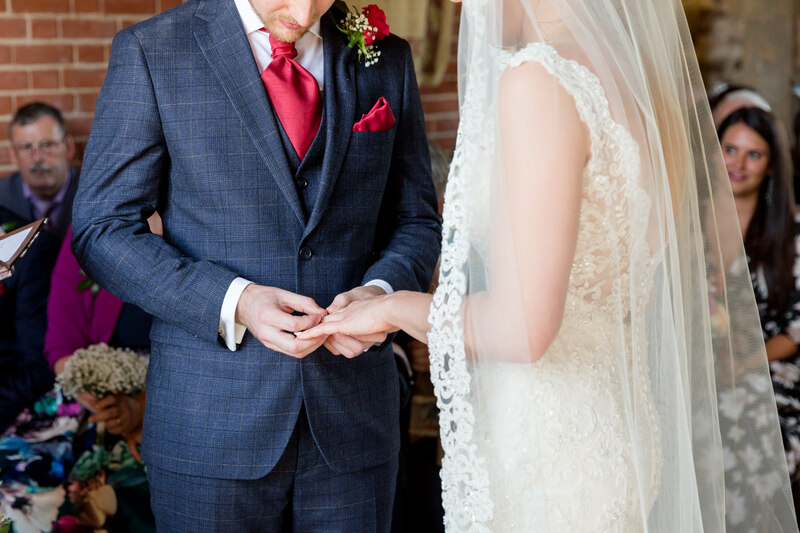 The light through the gatehouse window showed the the detail of Becca’s striking dress and veil as they said their vows. 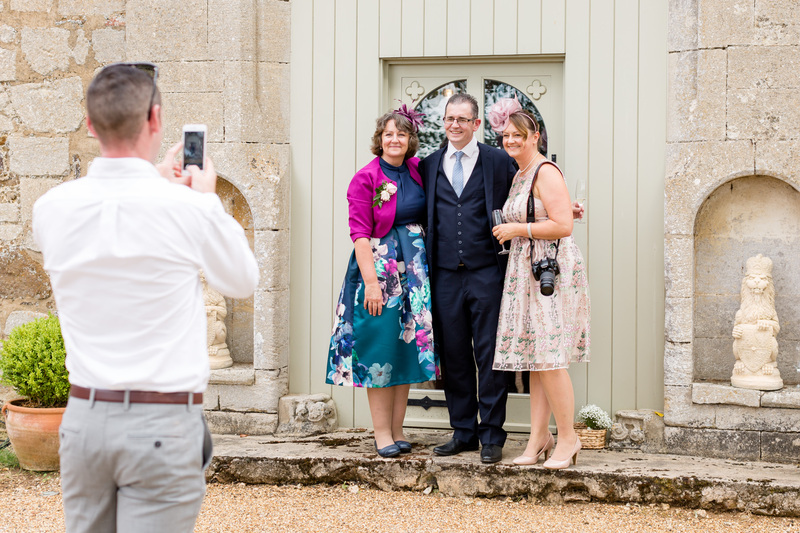 After the ceremony everyone headed into the courtyard where there was lots of time for an epic confetti tunnel, group shots and canapés, before bridal party shots (that not every little boy was really into) and some couple portraits then heading over to the barn for speeches and the meal. 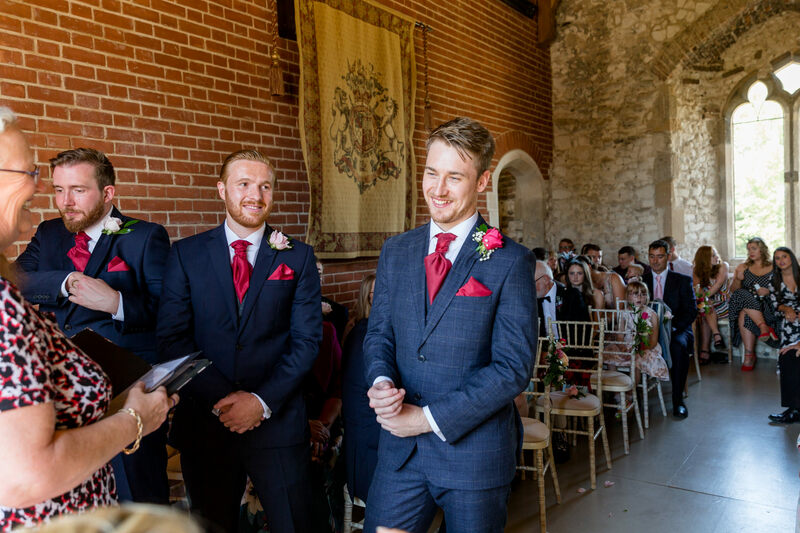 The day they married was one of the hottest of 2018 I’m sure and how Steve managed to keep his suit jacket on until the speeches is beyond me! 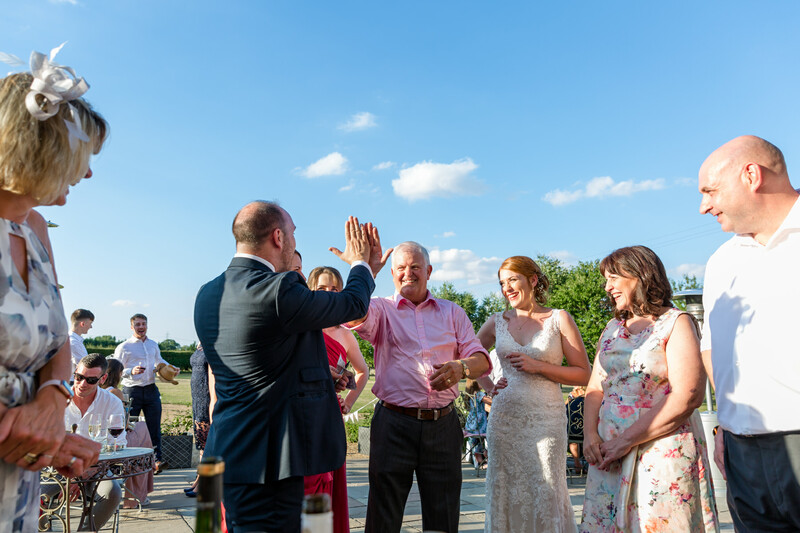 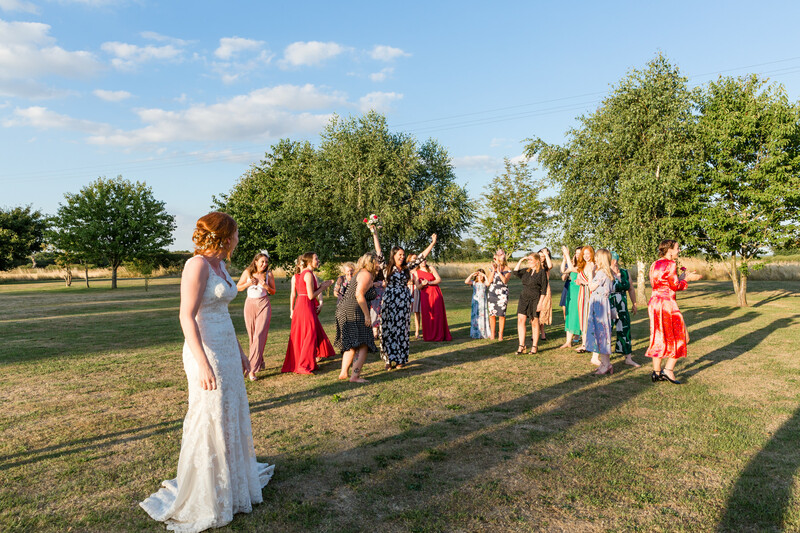 Everyone spilled outside into the warm summers evening, Becca was very keen to throw her bouquet and there were about 20 women very eager to catch it! 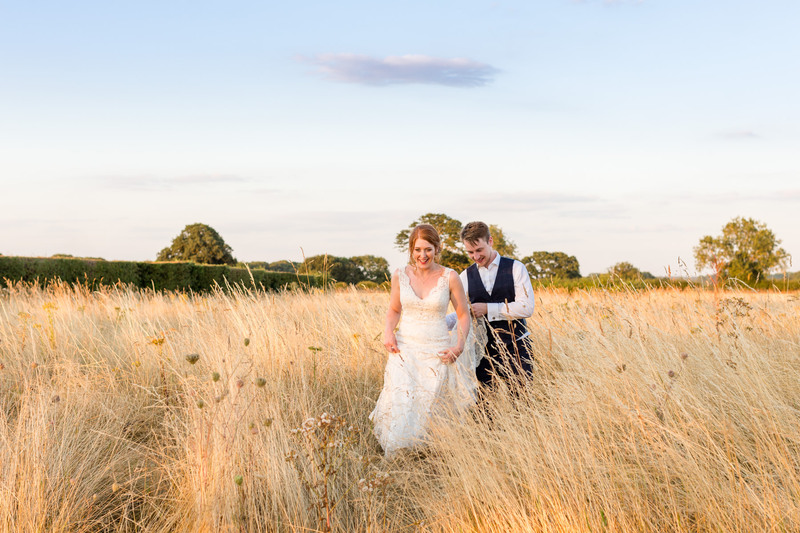 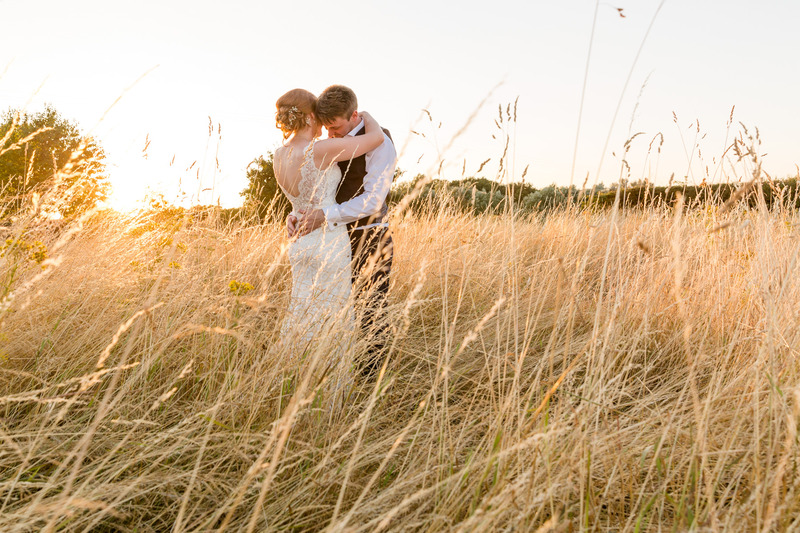 With the gorgeous evening sun starting to dip, we made the most of that wonderful golden hour light to create some magic. 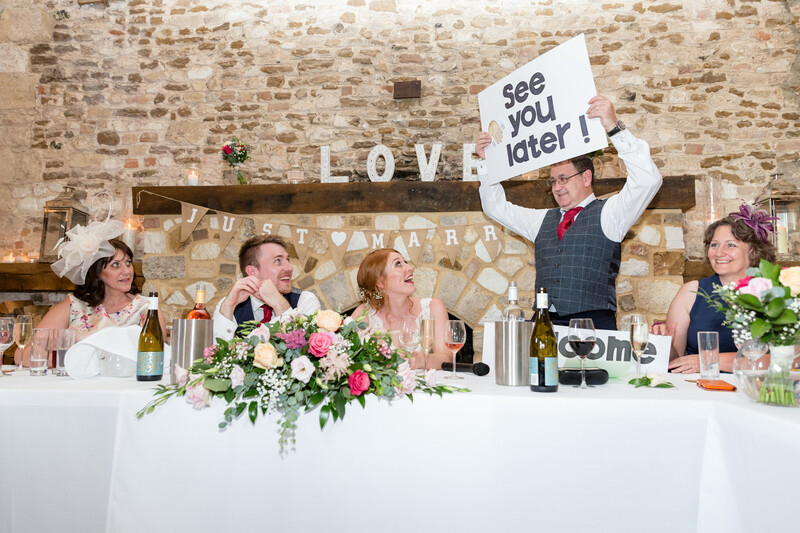 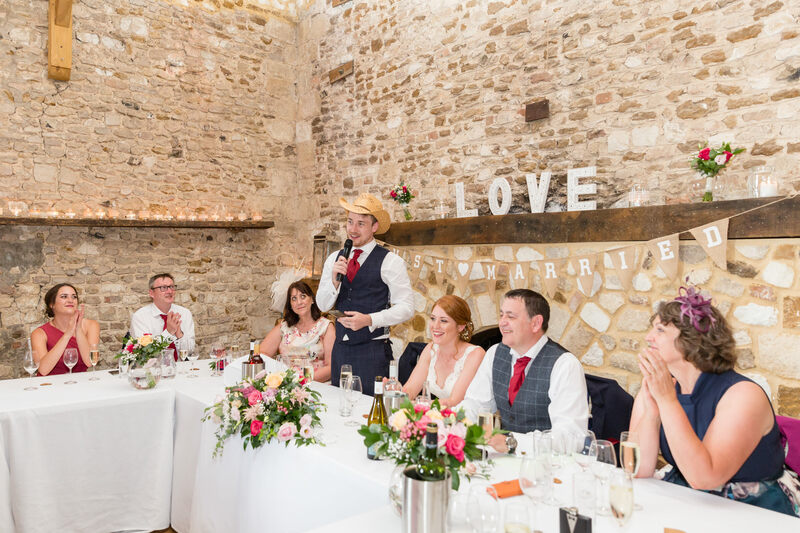 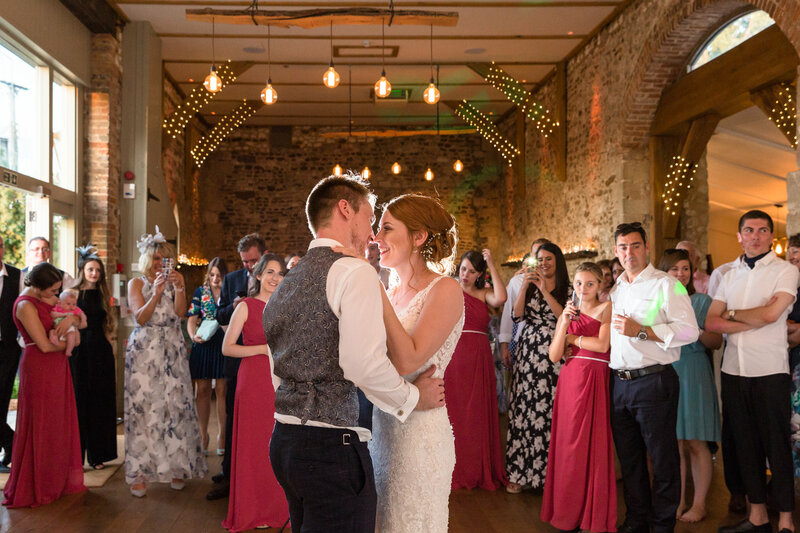 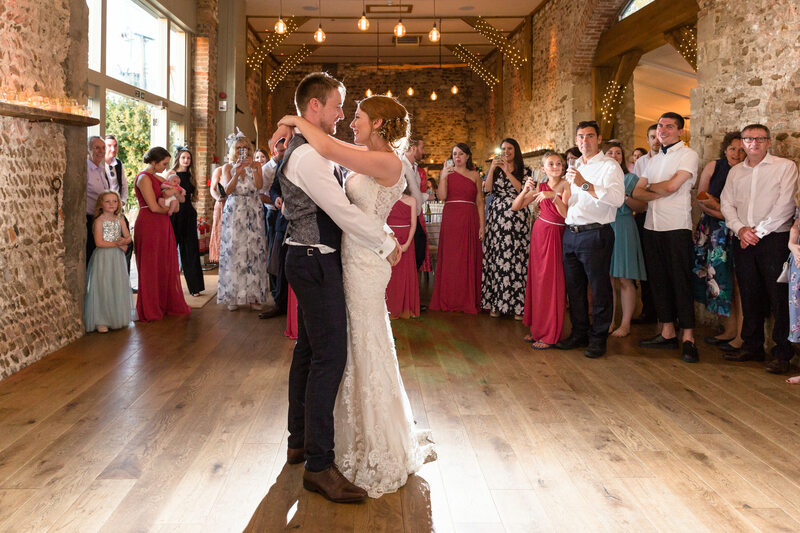 The atmosphere in the barn as Becca and Steve took to the dance floor for their first dance as husband and wife was beautiful, watched by family and friends these childhood sweethearts were in a world of their own. 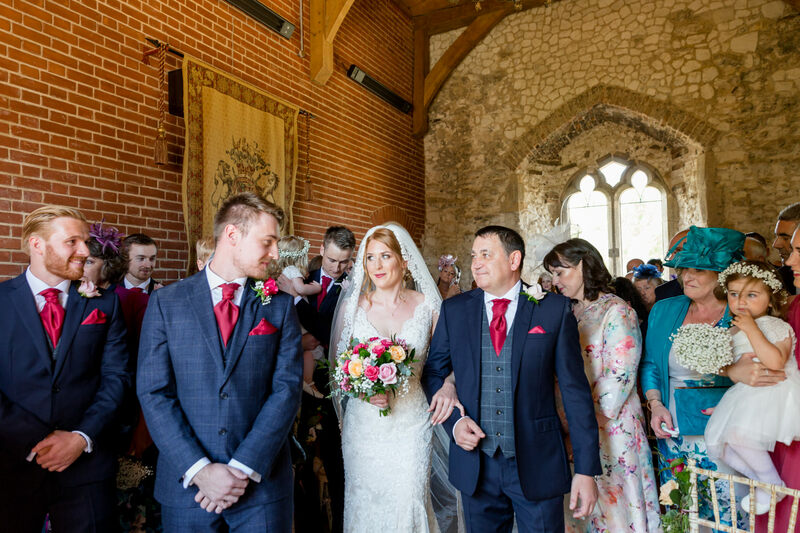 Thank you Becca and Steve, your families and friends for making me so welcome and also to Pentney Abbey for looking after us so well. 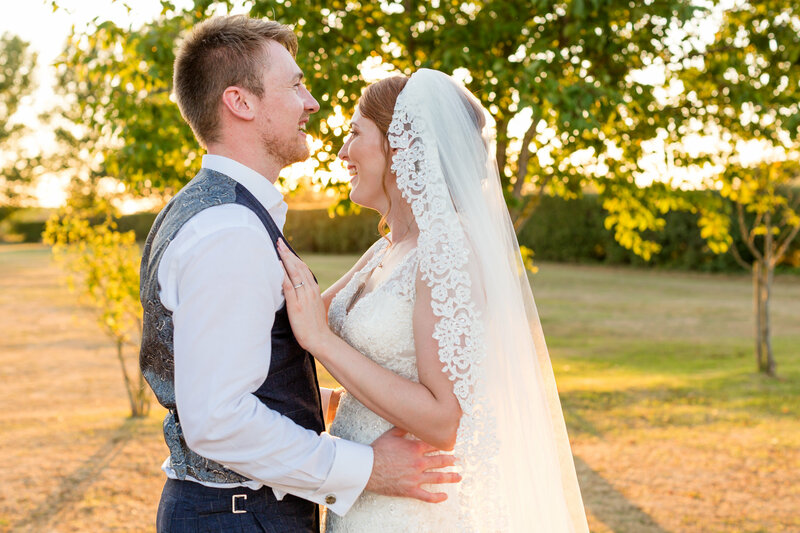 This blog post is just a snapshot of their wonderful day, you can see the full story of Becca and Steve’s wedding over on the gallery page.